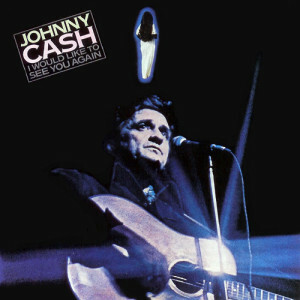 I Would Like to See You Again is one choice for Johnny Cash’s best album from the period that ran from the late 1970s through entire 1980s — only the unusual and slightly rough-hewn concept album The Rambler comes close, but that one puts theatrical elements in place of proper songs in a way that makes it less suited to regular listening. From the odd album cover, to the generally lackluster quality of his albums of this time period, this album doesn’t seem like it would have much to offer. Add to that the fact that Cash compilations tend to include the least interesting songs, and maybe it is not too surprising that this is often overlooked entirely. By no means is this a top tier Cash album. It still plays well all the way through — helped, perhaps, by being a meager 32 odd minutes in length. There is an amiable, mellow tone to most of the songs, with a hint of weariness and nostalgia. Cash’s voice is unburdened by overbearing fads and the band plays supportively. Pianist Earl Poole Ball, a veteran who played with Buck Owens and plenty of other country legends, was a huge asset to Cash’s band. He (with the other session pianists) plays just enough to change the pace without overdoing it. The guitarists add some politely sly licks on an electric guitar to further inject some virility. The songs are nice. They suit Cash in middle age. One of the best is “Abner Brown.” Cash wrote the song himself. As a character portrait, it was a familiar format for him (e.g., “Cisco Clifton’s Fillin’ Station”). It is a tale of a small town drunk known from childhood, admired and celebrated by the narrator for his good nature. Others only tolerated Abner Brown, but Cash’s song celebrates him as a friend and a salt of earth type (in the full biblical meaning of the phrase drawn from the Sermon on the Mount). The one song that does seem out of character, with its heavy rural populism, is “After Taxes” (not written by Cash). But the album opens strong with the title track, “Lately,” and “I Wish I Was Crazy Again.” “I Don’t Think I Could Take You Back Again” might be the most effective performance. Few will name this as a career favorite from Cash, but it is a good one to play to accompany a reunion of unselfconscious friends or any other gathering of effortlessly familiar, kindred spirits. It has a slight “bro” quality perhaps; it isn’t intrusive though.